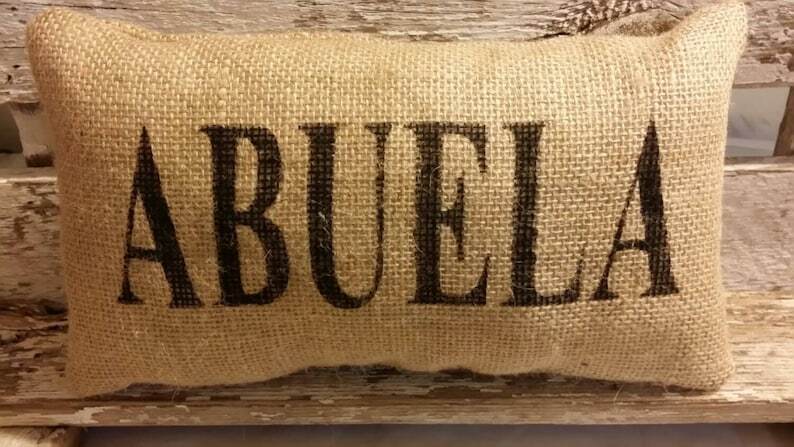 Burlap Abuela 11" x 6" Pillow is made with a high quality burlap and lined with cotton muslin. I have lined this pillow so that no white fiberfill shows through your pillow, this gives your pillow a very sturdy feel. Abuela is Spanish for Grandma. Perfect Gift for Mother's Day or Birthday or just to say I Love You Abuela! What a cute way to let your Abuela know how much you love her, she will feel your love every time she sees this pillow.